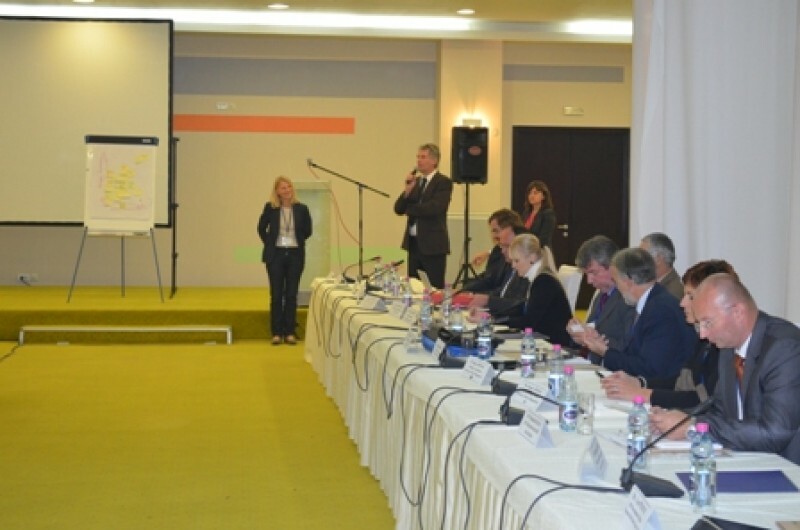 SARAJEVO – Closer regional cooperation of water, energy and environmental sectors on the sustainable use of waters; involvement of private sector in water infrastructure development; and introduction of a regional legal and coordination instrument to ensure achievement of these goals, are key issues South East Europe (SEE) needs to address in water resources management and hydropower production until 2020. This was concluded by participants of a three-day international roundtable on water and energy nexus in transboundary basins in the region that closed in Sarajevo today. The participants underlined the necessity to identify steps and measures needed in the mid-term for advancing the sustainable provision of water, energy and food security in an integrated way, known as “Water, Energy and Food nexus approach”, at national, transboundary and regional levels. They called for investigating opportunities to launch a political process under Regional Cooperation Council (RCC) auspices to enhance cooperation in SEE in the field of transboundary water resources management. The roundtable was co-organized by the German Ministry of Environment, Nature Conservation and Nuclear Safety; the RCC Secretariat; the Global Environment Facility (GEF) IW: LEARN project; and the Global Water Partnership Mediterranean (GWP-Med), within the frameworks of Petersberg Phase II/Athens Declaration Process on promoting transboundary water resources management in SEE, and the Mediterranean Component of the EU Water Initiative (MED EUWI). In his address, Fritz Holzwarth, Deputy Director General for Water Management of the German Federal Ministry of Environment reminded that South East Europe is the world’s region with the highest density of transboundary rivers. “There are interdependencies between water, energy and food security at all levels: global, regional, national and local. Failing to efficiently address potential effects of one sector on another during decision making is undermining efforts to achieve sustainability”, said Miroslav Kukobat, Head of Infrastructure and Energy Unit of the RCC Secretariat. The meeting initiated a wider dialogue on water, energy and food nexus in SEE, as means to promote sustainable river basin management and identify projects to be included in a new phase of the MED EUWI. Participants debated ways to reach sustainable hydropower goals in SEE until 2020, in line with the RCC’s SEE 2020 development strategy. “Hydropower needs dams, but their impact, if not properly designed, can be felt at the river-sea interface potentially affecting tourism, food production and biodiversity”, said Prof. Michael Scoullos, Chairman of GWP-Med. “The GEF’s role is to support countries in finding common ground and creating sustainable institutional mechanisms to work together on shared water and related resources, to demonstrate that conflicts over these resources can be addressed through cooperation and that this can be done cost effectively”, said Mish Hamid, Project Manager for the GEF IW:LEARN project. Roundtable participants included some 80 practitioners and decision makers in water resources management and hydropower production from national authorities from SEE, major international organizations and private sector active in the field.